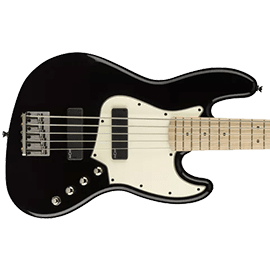 Squier Guitars & Basses - Andertons Music Co.
Squier are most well-known for producing cheaper versions of Fender guitars and basses. 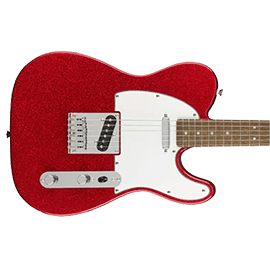 They are a great option if you want to buy a Fender instrument but at a more affordable price, still carrying the charm of their premium high-end counterparts. 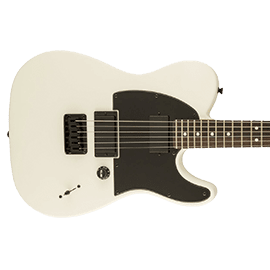 Despite some associating them as a “budget brand”, Squier have nevertheless established themselves as a provider of great quality instruments, played throughout the world by guitarists of all ages and abilities. 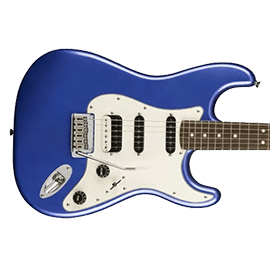 Since 1982, Fender has produced Squier electric guitars. 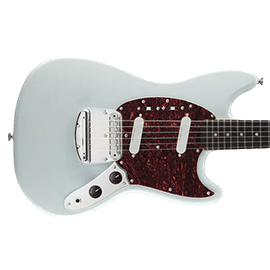 With Fender facing strong competition from Japanese companies manufacturing inexpensive recreations of their guitars, Fender decided to make their own with the Squier name. 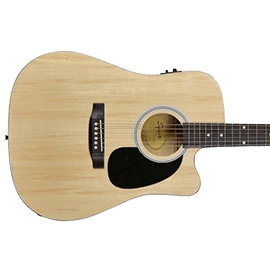 Initially made in Japan and offered to the Japanese market, these guitars eventually were sold throughout Europe and the United States. Production subsequently moved to other Asian countries such as China, South Korea and Indonesia to meet demand. Since then, the company have become one of the biggest mass producers of guitars and basses in the world. 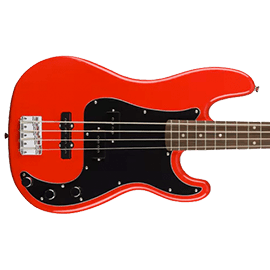 Many guitarists and bassists would say their first instrument was a Squier. 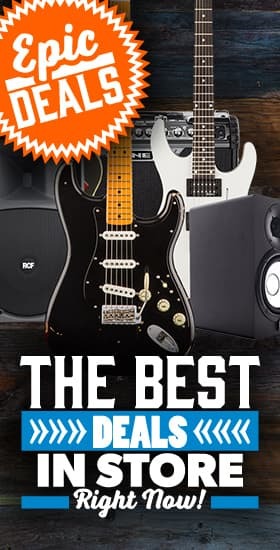 This is because they make amazing all-in-one starter packs for beginners, including an Affinity series guitar/bass, amp, cable, strap and picks. 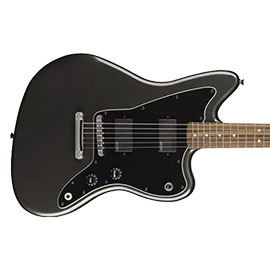 The Affinity series are the cheapest Squier instruments available, and guitars and basses from this range can also be purchased individually. Squier also make higher-spec instruments in other lines, with better components as well as superior build-quality. One of these lines is the “Vintage Modified” range. Featuring classic Fender designs, these guitars feature “hot-rodded” components, such as Seymour Duncan-Designed pickups, improved hardware choices and unique finishes. Another line is the “Classic Vibe” series. 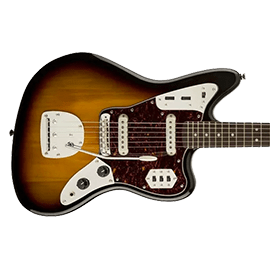 The instruments in this range take inspiration from iconic 50s and 60s Fender designs, intending to recapture the old-school vibe of the golden era of guitar-building.